James Bond will be seen leaping from the top of trains in India in the 23rd film in the 007 series now that permissions have finally been granted to shoot the daring stunt sequence on Indian Railways. Following a meeting between the railway minister and India Take One Productions (EON Production's partner in the country) on Monday, changes were made to the proposed Bond 23 sequence that ensured passenger safety and the image of the company would be maintained. 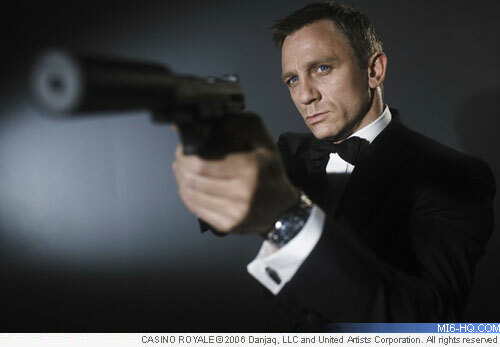 In return, James Bond will become 'brand ambassador' to the Indian Railways company. "When the Indian line producer came for discussions, I said Bond will have to promote Indian railways and be its brand ambassador. They agreed. We will soon have a written agreement," railway minister Dinesh Trivedi said. A mock-up of the stunt sequence was shot in England with model trains to demonstrate what would be required to shoot the stunts full scale. 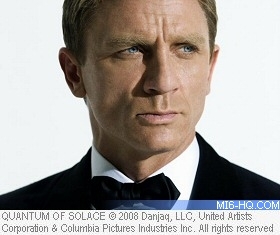 The sequence will see 007 jump a speeding motorcycle on to the roof of a moving train, run along the roof on foot, and then leap to another moving train. Due to sequence ending with Bond jumping off the second train in to a large body of water below the tracks, producers had requested to shoot in Sabarmati in Gujarat or Goa. After seeing the model footage, Indian Railways requested a few changes, namely that trains would not be seen crowded with passengers clinging to the roof. "One of the conditions for allowing the shoot is that they cannot show India or Indian Railways in bad light and the assurances will have to be given to us in writing. The film will be viewed across the world where it will seem as if all trains here have people traveling on roof tops, which is not true. Also, traveling on the roof of a train is prohibited by law and that cannot be encouraged," Trivedi said. "Whatever help is needed by them will be given," Chandralekha Mukherjee, executive director, information and publicity, railway ministry, told reporters Thursday. She said the company had been told that during the shooting, it should not stop traffic, inconvenience passengers and pay all the dues to the local railway offices in case of damages to railway property. She said providing a special train and doing some work in the coaches, as desired by the film production company, was not a problem. The train top stunt sequence is scheduled to be filmed in Goa, India, in February 2012. Other locations in the country will include Sabarmati Ashram in Ahmedabad, and Mumbai.